Basel's Paper Museum is a small, extremely well-presented museum that takes one from paper-making to the history of writing, printing, book-binding and many other facets of the world of paper. As an artist, I was enthralled and found the paper they Museum still makes most tempting and beautiful. When John Singer Sargent painted this scene of Claude Monet working en plein air, he recorded the heyday of the Impressionists' love of working outdoors to record and celebrate nature. Ever since, there has been a long list of wonderful plein air artists on every continent, and we artists, living today, have a rich heritage of landscape art from which to be inspired. This is the final Part 5 of my blog entry on Plein Air Art- Looking Back. Every time one listens to the news these days, in no matter what country, it seems that someone is trying to damage or destroy someone else, or else trying to take advantage of someone else or another group. It really is a time when one can count oneself very privileged simply to be able, in peace, to listen to bird song, see a lightning storm dance across the sea, see the flutter of leaves in a poplar tree. 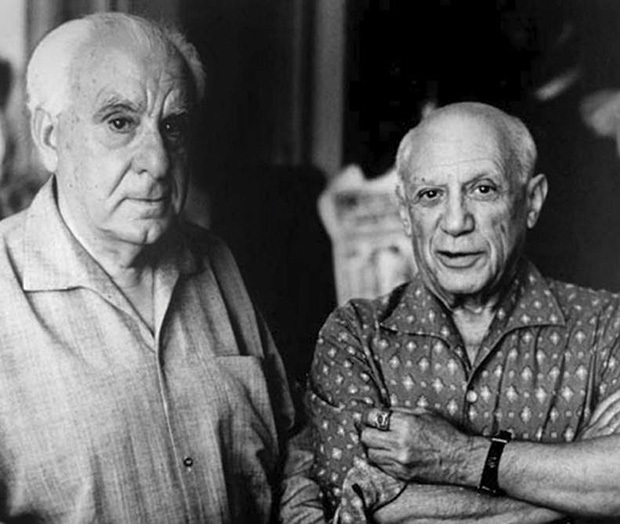 Even in the art world, alas, increasingly, artists seem to be getting very much the short end of the stick. Of course, there are exceptions. Nonetheless, I have found, over the years, that many museums and art galleries have scant regard for contracts signed, agreements made or arrangements undertaken with artists. Expediency and politics rule. For the benefit of the administrative side of the art world, of course. It was a chance remark made as I was leaving to revisit Vézelay, the amazing Basilica which dates from the mid-ninth century: "You'll be going to the Zervos Museum too, won't you?" I stopped in my tracks. I had never heard of this museum. So it was explained to me that this was a small gem of a museum, not to be missed. Easy to find as you climb the hill to the imposing Basilica dominating the hills of green central Burgundy. So after I had lingered and marvelled at the Romanesque architecture, the extraordinary stone carvings on portals and pillars (now a little over-restored to my eyes, but perhaps I should not cavil) and listened to monks and nuns chanting their midday services, I found my way to the discreet entrance to the Zervos Museum. After a charming welcome, I wandered into the house, once the home of Romain Rolland, the French writer, who spent time there during the Second World War until his death in 1944. Christian Zervos, born in Greece but a naturalised Frenchman, was noted for his Cahiers d'Art which he edited from his rue du Dragon office in Paris' 6th arrondissement, above the gallery he also ran. 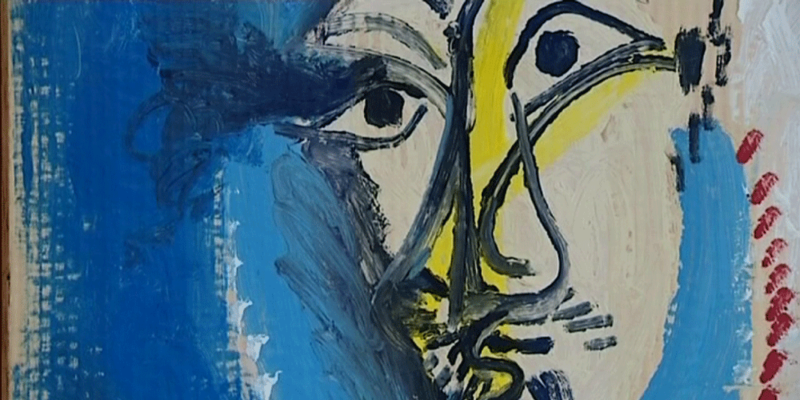 His connections to Vézelay began when he and his wife bought a small farm there in 1937; there they entertained Picasso, Léger, Le Corbusier, Paul Eluard and many other artists over the years. 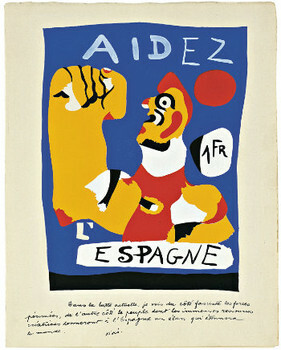 In 1970, Zervos left his collection of Cahiers d'Art and art to Vézelay. He and his wife, Yvonne, are buried in the cemetery near the Basilica. I was indeed fascinated and astonished at the museum art collection, which ranges from Kandinsky, Giocometti and Miro to Calder mobiles and a small painting, Picassos, a huge Léger mural, Raoul Dufy, Dogon sculptures from Mali, small but exquisite Cycladic and Middle Eastern pieces. A personal collection, acquired with friendship and a keen, discerning eye - the result is a delight to see. The small museum is beautifully arranged, with a clever adaption of the house and its still-personal Roland touches. The views out over Burgundy are timeless and beautiful, even on a grey afternoon. 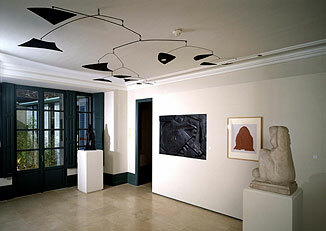 The bonus is the wonderful post and beam attic, where the Cahiers d'Art, the Cycladic and other objects are displayed. It is just beautiful in its strength and harmony. I was so entranced that I forgot to take photographs, but I have found these images on the web. They give a flavour of a museum well worth a visit when you have the luck to travel to Vézelay, France. 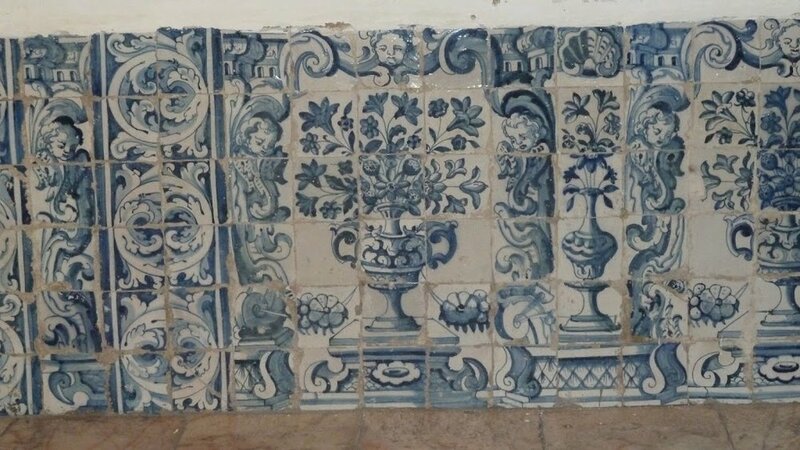 Every time I return to Portugal, I find I fall in love all over again with the azulejos, the glazed tiles that are the quintessence of Portuguese wall coverings, on the outside of buildings, inside churches, monasteries, even private houses, everywhere. The beginnings of this wonderful art form date from over five centuries ago, when the Moors held sway in the Iberian Peninsula.In fact, the word azulejos comes from the Arabic word for “polished stone”, zillege,and the early types of tile - floral, geometrical, curvilinear in patterns - were introduced by them.Soon the Mozarabic centre of tile making was Seville, and for a time, Portugal imported tiles after King Manuel I visited the Seville factory in 1503.The Spanish adopted the Arab love of filling space and patterning everything. 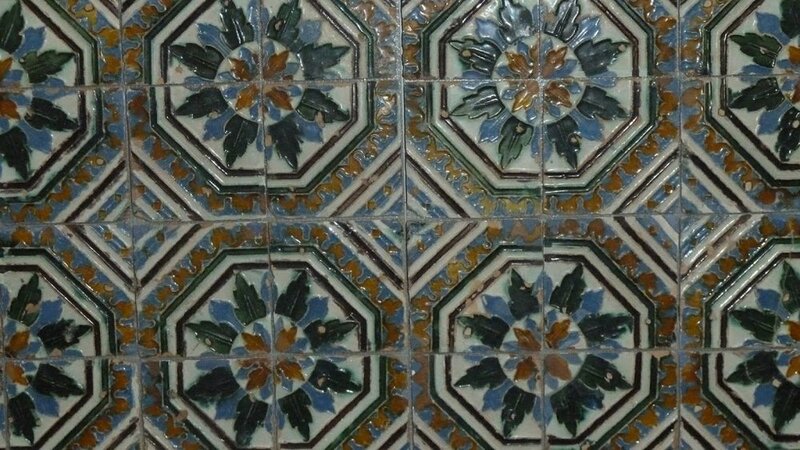 Later in the 16th century, the Portuguese learned how to make the tiles themselves after they had captured Ceuta in 1415, and after an influx of Flemish, Spanish and Italians brought their pottery skills to Portugal. (Their arrival is a reminder of how skilled workers flow around the world to where there is wealth and thus work; it is not just a phenomenon of our times!) 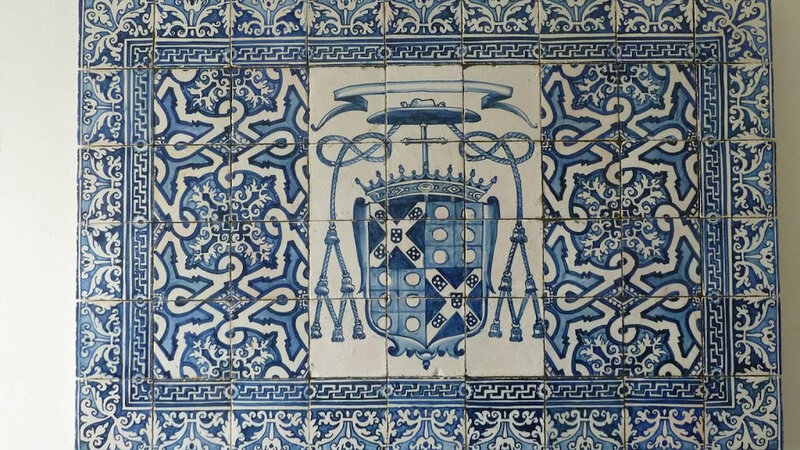 The heyday of azulejos began and soon churches were adorned in amazing friezes and vast picture panels in “Delft blue”, palaces were tiled from top to bottom, stairways became glowing glories, the facades of buildings were works of art beyond belief. 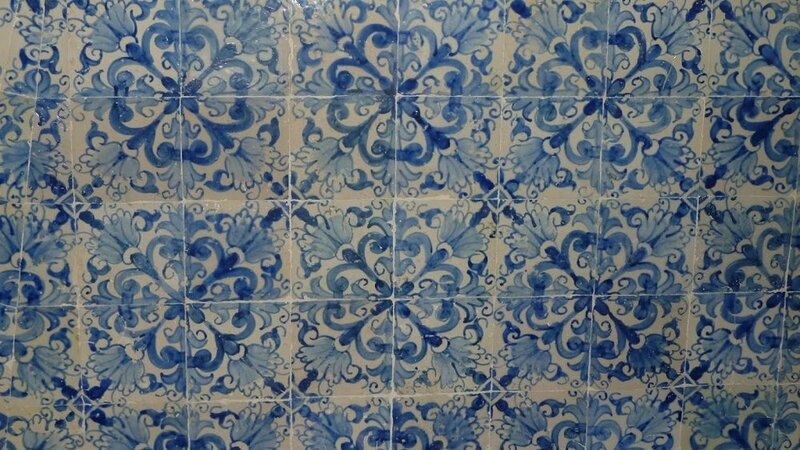 Wherever one goes in Portugal, there is beauty and complexity, thanks to the azulejos. Just a few examples of tiled interiors that I have delighted in recently, in Evora and in a lovely small restored 16th century church in Redondo, both in the Alentejo region, inland and east of Lisbon. 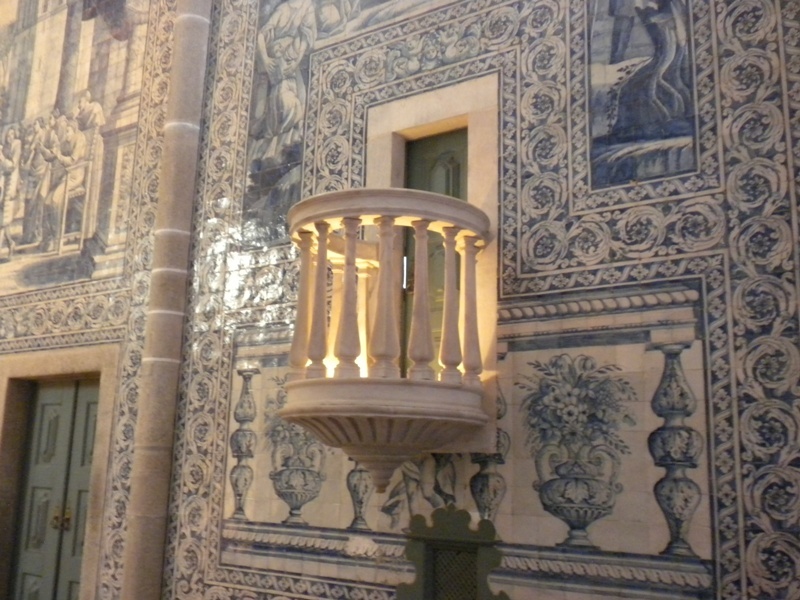 If you are in Lisbon, one of the most fascinating and delightful museums to visit is the National Azulejos Museum. Spend all day there if you can – you will be rewarded. 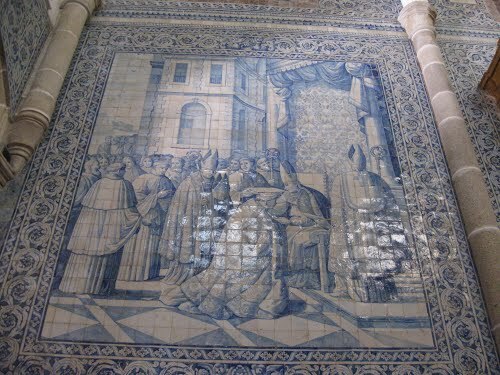 And elsewhere in Portugal, don’t forget to slip into every church or historic building you see, because there will be great beauty to reward you, thanks to the azulejos. I recently had occasion to go looking for the e-mail addresses for Curators or Directors of a number of museums scattered throughout the United States. It was quite an exercise, and it got me thinking about museums' attitudes. In today's world, a presence on the Internet is a given, a vital tool for everyone from the local plumber to the most prestigious of museums. But, as we have all recently observed in excruciating detail, websites are a vexed issue. Granted, an art museum certainly does not have the same demands made on it as the Government Health site. Nonetheless, web design is a very clear indication of the general attitude and ethos of the museum - or any other entity. Many of the museum websites to which I went to find details of how to contact staff members via the Internet were clearly laid out and very functional. But a surprising number were positively lurid in their technicolour and busy overkill of information on the opening page, whilst making it hard to find out where next to navigate to get to the staff details. 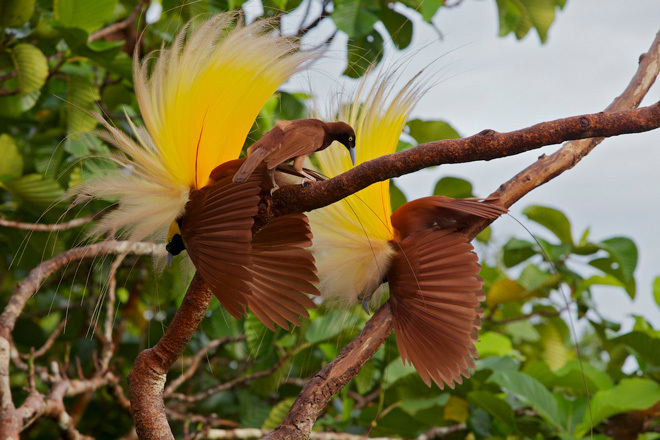 The impression was that these museums were so desperate to get the public involved, and hopefully through their doors as financial supporters in some way, that they were in a frenzy to attract them, rather like some of the amazing courtship displays of some bird species. And perish the thought that they might actually name their curatorial staff! More indicative of the museums' ethos was their opacity, at times, I decided. Some museums literally block one from knowing names of their personnel. Others make it a complicated exercice to contact anyone working at the museum, obliging one to fill out forms and supply personal data. One even stated, in very small letters, that any e-mail address you supplied (the usual obligatory requirement) implied that from then on, they were free to send you publicity - i.e. spam! What does that tell one about that museum's attitude to the public! I have always believed that museums are keepers of our cultural heritage, in whatever form is appropriate to the mission of that museum. Consequently, to my way of thinking, a museum has an implicit obligation to make itself open and welcoming to the public which it is set up to serve. Transparency and ease of navigation would therefore seem to be basic tenets of a museum website. If a museum makes itself so inaccessible to the public through its website, the message I receive is that that museum believes itself superior and not needing to have any truck" with the general public, only the chosen inner circle. However, in today's world, elitism in museums seems to be a rather unfortunate attitude, to say the least. As in any other walk of life, you absolutely never know who might just turn up out of the blue and do something stunningly wonderful and constructive. If you make it so difficult to contact the requisite people through the website, you might miss out on an amazing opportunity. That applies particularly when geography comes into play and the museum you are trying to contact might be the other side of the country or of the world. We all know that museums are full of very busy people and that there is usually a lack of funding and staff. Nonetheless, the website design can still be welcoming, positive, elegant and clear and very much an open door to the physical museum. I often wonder how many museums - or other businesses - go through the exercise of opening up their websites and checking out the ease of navigation, access of information and general appearance as if they were Mr. or Mrs. General Public. Museums could do themselves a favour to do this – no one likes a message of superiority and elitism, nor of opaque functioning vis à vis the public. How often do images of artwork remain with one long after going to the exhibition? I always find it to be a good test of how much I like a piece of art, how much it has spoken to me, and how it has become embedded in my mind. I was thinking about this aspect of viewing art in relation, for instance, to the Summer Exhibition 2011 at the Royal Academy in London. I went to see this huge show in early June - it stays up until 15th August. 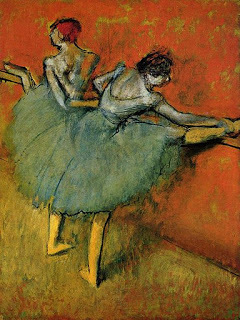 Now, nearly six weeks after I saw the exhibition, I find that there are only a few of the thousand-plus works of art that remain fresh in my mind and still interest me. Naturally, as I invariably find, the art I like is seldom illustrated in any catalogue (let alone postcards in a museum)! So it is even more an acid test that I need to remember the artwork entirely without prompts, save for any notes or quick drawings I might have made at the time. The RA Summer Exhibition, a selling exhibition, is a giant affair, with eminent Academicians in charge of hanging different rooms. Christopher Le Brun was the show's main co-ordinator; he operated under the thesis, "There are two ways of showing paintings. One is the classic orthodox hang with lots of space around every single piece. But here it's like a battle of the paintings - forty big pictures on one wall alone!" By contrast, Michael Craig-Martin, who curated another room, went in another direction. He explained, "Normally, the Royal Academicians are hidden among everyone else. I wanted to show their range and quality by focusing for the first time on RAs only, because there are lots of new ones and nobody quite realises that they have all arrived here." Photographs, paintings, etchings and other prints, artist's books, architectural renderings and models, sculpture, drawings - the 1117 works gave everyone a taste of today's art. You need a few hours or several visits properly to absorb the diversity, quite apart from having to navigate the crowds which ebb and flow according to the hour. It makes the test of time even more demanding, in fact. But as I remember back, some works remain to delight me. Frederick Cuming's large oils were a delight of subtle atmospherics, whose titles, "Crescent Moon and Sea" "Clouds Evening, Camber", "Clouds and Reflections" or "Dawn Garden, Frost" tell of his interest and skills in conveying almost abstractions that evoked northern climes. 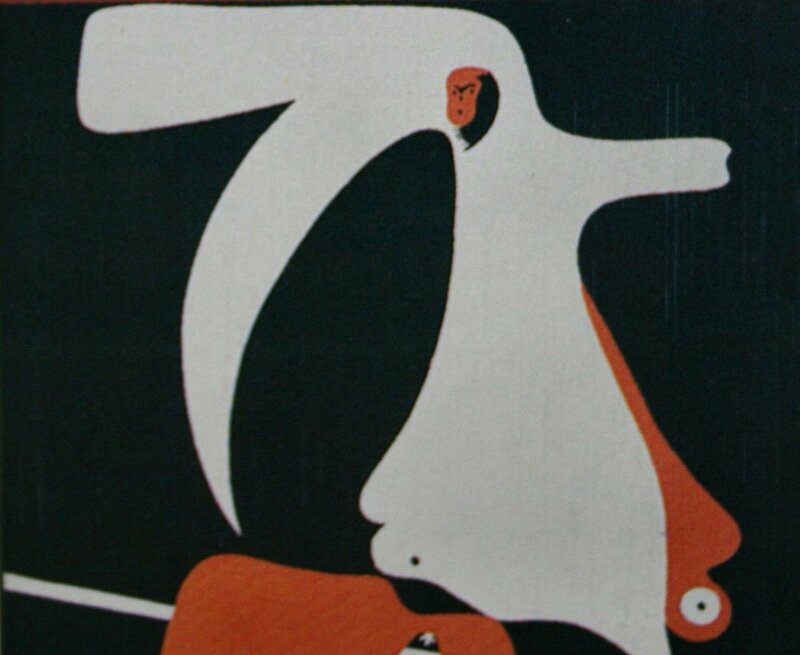 Later, I found his silkscreens, "Etna" and "Thaw", and promptly fell for them! At the other end of the spectrum, a warm evocative abstraction in reds, "Window Screen Ajanta" took one far to the tropics - it was an oil by the late William Baillie. I have to say it was positively miserably hung, and almost impossible to view - shame on the RA for such a disservice to the artist. In between, of course, there were the large and dramatic, the small and delightful, the ugly and strident, but more importantly, the gems. One, for me, was Edmund de Waal's "Untitled, 2011" white lacquered cabinet, hung on the wall, with clear laminated glass, containing 70 diminuitive celadon and white vessels. Discreet and elegant, interesting and evocative of so much history eastern and western in the ceramics world, I was not surprised that it was already sold. The other reason for my pleasure at seeing it was that the artist is also the author of one of the best books I have read for ages, "The Hare with Amber Eyes". 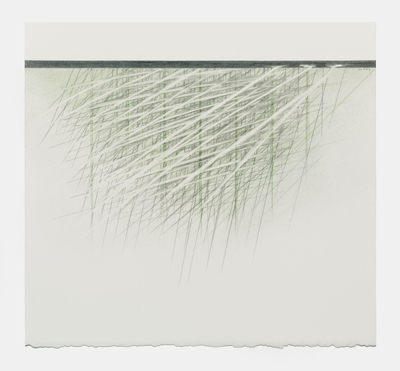 Another series of eight drawings, "Marks on the Edge of Space" were a fascinating use of conte, graphite and mylar by Ann Christopher RA. Layers, stainless steel rivets to attach them, use of shadows to evoke water, fields of grass, trees – so many plays of tone and shape to delight. Very sophisticated, lovely work. There was another delight in the drawing section - a silverpoint. Small and quiet in its faintness, it was a lovely portrait, "Dulcie" by Dylan Waldron. Marvellous to find another silverpoint artist! Of course there were many other stimulating or beautiful works of art at the RA. Nonetheless, the artworks which have stood the test of time for me and that come first to mind are, as I have mentioned above, but a handful. Of course, that is just my personal selection: vive la difference is definitely the operative phrase at a show like the RA Summer Exhibition. It is worth going to the exhibition if you are in London, for it is a good way of testing the pulse of a wide selection of British artists.